This sterling silver ring is absolutely stunning! What little girl wouldn't love this design? It features baguette (long, rectangular cut) CZ's accented with a round CZ set in a classic, four prong setting. 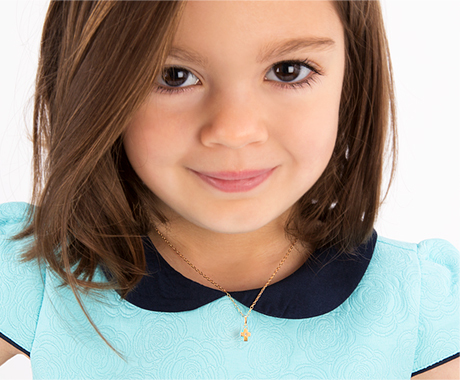 With vintage inspired, milgrain work that is refined and oh, so fancy, your little girl will treasure it always. This product has a 30 day return/exchange, and warranty policy. I bought this for my 2 year old daughter. She’s on the petite side so I got it in a size 1, it was absolutely beautiful. It looks so adorable on her little middle finger. Plus the shipping was really quick, got it that same week.